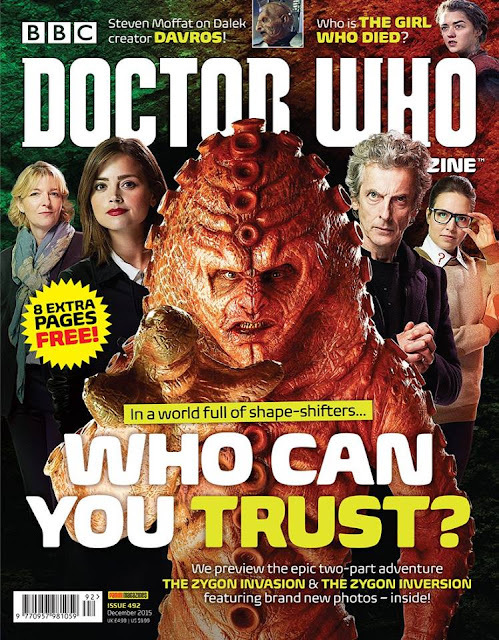 The cover for issue 492 of the Doctor Who Magazine has been unveiled. The magazine will be previewing the next four episodes of the ninth series, The Girl Who Died/The Woman Who Lived and The Zygon Invasion/The Zygon Inversion. Also inside are the usual, Gallifrey Guardian, interviews, comic strip, reviews and other news! The magazine is released on Thursday 15th October priced £4.99.